The ProMiter-100 is a well engineered, precision miter gauge designed for woodworkers by a woodworker, Mario Salazar, owner of Salazar Solutions. With the ProMiter-100 you can set angles to within 0.1 degree of accuracy from -50 degrees to +50 degrees in a matter of seconds, rather than minutes. Smart technology takes the ProMiter-100 from the ordinary to the extraordinary. A thermal sensor built into the circuitry provides continuous temperature compensation for uncompromising accuracy year-round. The miter gauge prominendy displays its internal sensor temperature on power-up. 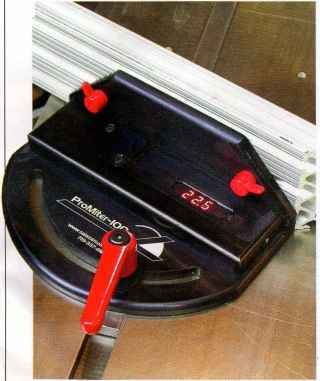 The American made ProMiter-100 can also be used to set the blade angle on your tablesaw. No more time wasted with hit-or-miss settings. When it comes to setting up your saw for compound or regular miter cuts, the speed and accuracy of the ProMiter-100 really shines. Salazar Solutions, (719) 337-8112, www.salazarsolutions.com ProMiter 100, $359. The K Body Extender is the latest accessory designed for the original parallel jaw clamp. It's one of those great ideas that leave you wondering, "Why didn't anyone think of this before?" The Extender allows you to combine two clamps for large-scale glue-ups. The durable aluminum construction fits the unique rail profile of the K Body to form a precise, rigid link. The Extender has a base that contacts your workbench for added support. ups with no twist or bow. You can use the Extender to join any two K Body clamps to create custom lengths with no loss of strength or clamp jaw parallelism. Bessey Tools North America, (800) 828-1004, www.besseytools.com K Body Extender, #KBX20. $16. The wrong time to discover glue spots is when you're staining. But dried glue is so hard to see on unfinished wood, it's easy to miss until its too late. The folks at Titebond have come up with a nifty solution: Fluorescent glue. It glows under black light, so you can see and remove excess glue before it's too late. Titebond II Fluorescent glue has all the working characteristics of Titebond II Premium glue, plus a fluorescent additive, for about 50 cents more per 16-oz. bottle. 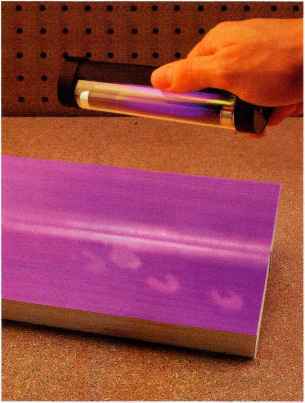 The additive makes Titebond II Fluorescent J glow under black light, whether it's wet or dry (you can buy a black-light bulb for about $10 at a home center). Titebond II Fluorescent glue can be used for both indoor and outdoor projects, so it will replace Titebond Fluorescent, which has been available for about a year. Franklin International (800) 347-4583, wwwTitebond.com Titebond II Flourescent Glue 16-oz. bottle, about $8. 1-gal. jug, about $23. 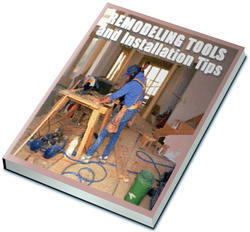 Enter a new or renewal subscription to American Woodworker > and give a FREE gift subscription! YES! 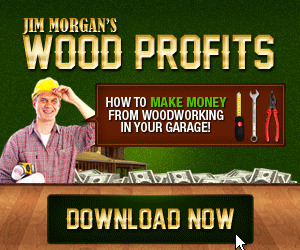 Enter or extend my one-year (7 issues) American Woodworker subscription and send my friend listed below a one-year subscription at no additional cost! Bill me at the one-year rate of only $24.98 for both subscriptions — a 70% savings off the newsstand price — and send my friend a card announcing my gift. 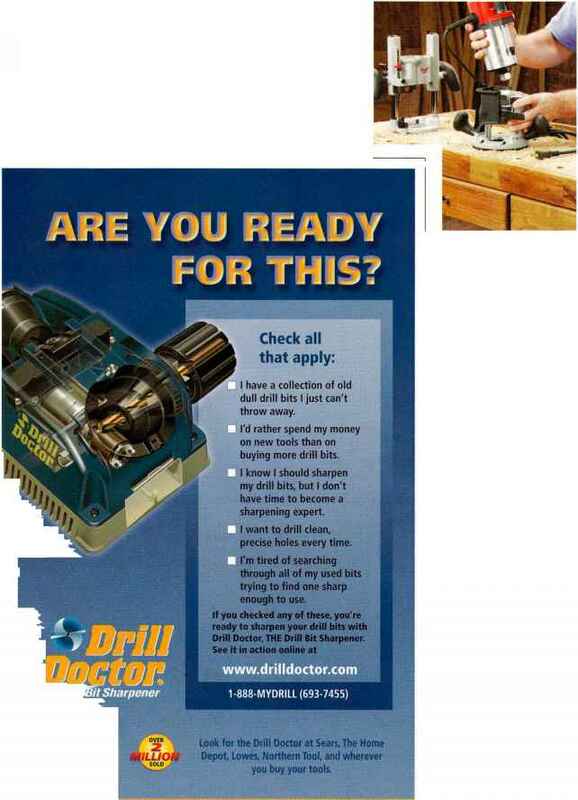 Satisfaction guaranteed or your money back for any unmailed issues remaining on your subscription.